We at Cowbeans wishes everyone a Happy New Year. To celebrate 2019, here is a short sneak peak of the upcoming game, Pixel Knights Online. CHEERS! Pixel Survival Game 2 ANNIVERSARY! Celebrate with us in PIXEL SURVIVAL GAME 2’s 2ND ANNIVERSARY by logging into multiplayer! You will receive a FREE MASTER KEY upon logging in! Event ends at Aug 19 12AM UTC. We will be playing Pixel Survival World this Easter weekend on our Android and Apple devices! Join us for an amazing Easter! What is Special Event? 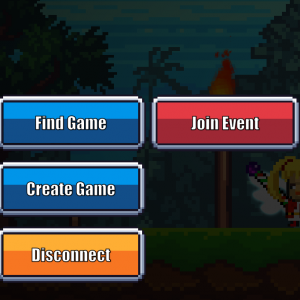 From time to time you may notice an “Event” button in multiplayer lobby of Pixel Survival World. These events are held by our community managers which a few lucky individuals may participate for a chance to earn special rewards! The events may include Special Boss Battles in designated Arenas and Special Run Run Run and Jump. Pixel Survival World – Defend for Honour and EPIC LOOT! Survive in offline single player mode or online with up to 4 players! Defeat bosses and gather epic loot! Pixel Survival World will be available on Android and iOS worldwide Spring 2018. Pixel Survival World players, we are aware of the various bugs affecting multiplayer and we will have a fix shortly. Please note if you see an error message regarding the need of update when joining multiplayer, it could be due to the fact that the servers are offline. Pixel Survival World is now in Public Alpha on Google Play Store. COWBEANS’s next survival game Pixel Survival World is in closed alpha! If you havn’t watched some of the sneak previews of the game yet, head over to our YouTube channel for some action packed videos or watch the latest video below! Pixel Survival Game 3 has been released to the Xiao Mi App Store （小米商店）! Pixel Survival Game 3 WIKIA is live! Need more information on PSG3? Stuck? Need to know how to craft an item? Have stuff to share with the community? Please use the PSG3 WIKIA!